Its Blog Hop time at Scotties!!! Yay !!! 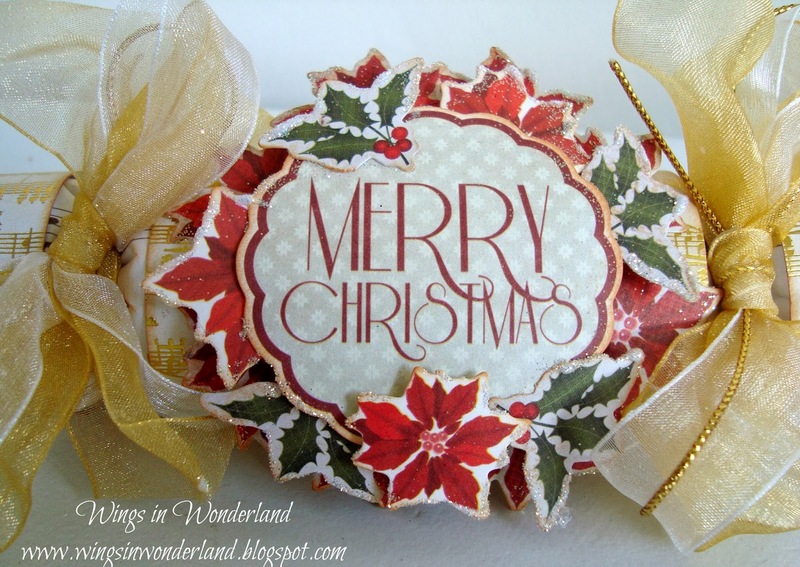 Christmas is less then two months away and as you have seen by previous blog posts the DT have been creating beautiful Christmas Projects and for the next week they will be creating Christmas Crackers all week! 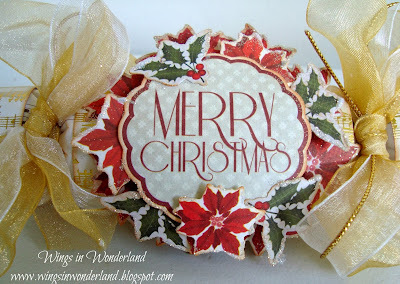 Please come visit the blog everyday for the next week to see their gorgeous crackers. Make sure you read the whole post each day for instructions to hop to one DT blog each day. On the individual blogs there will be a secret word or words for you to note down. Once the week is over you will have a secret sentence to post on our Facebook Page under a post that will happen on Friday the 8th of November. Please post the sentence by 10am on Monday the 11th November 2013 to be in a random draw for a great set of wood mounted Memory Box Stamps. We will also be announcing a competition next week too. Please note there might be a delay in the individual blog posts going up so if they are not there please check later in the day thanks! First up with her cracker is Kristy with her lovely musical cracker. if you have come here from Scotties blog well done, your on the right track! Great to have you playing along. I started off with some empty toilet rolls but you can also cut up an old paper towel insert too. 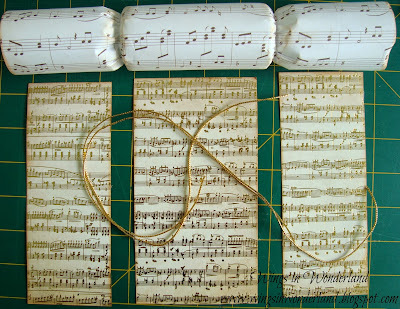 Here I used some old music note paper but most of this gets covered so don't worry if you don't have any. 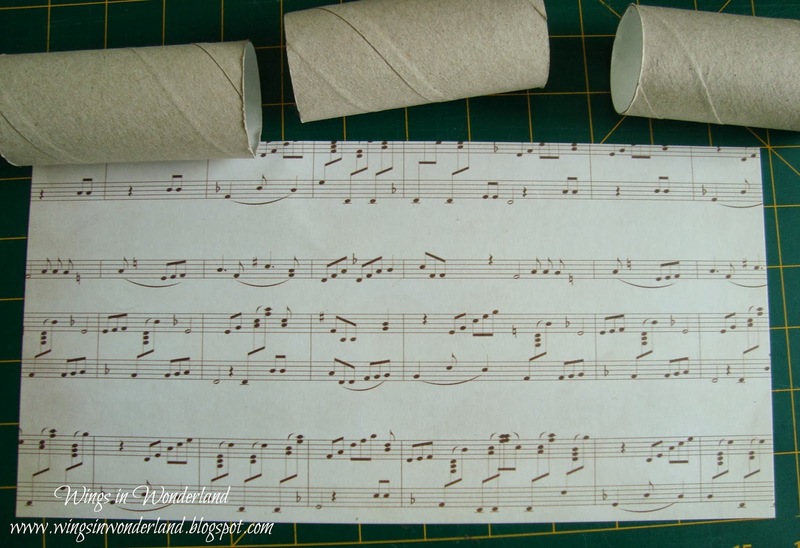 Now the trick to getting the cracker shape is to roll your paper around the tubes and adhere with some double sided tape. then you can remove the two outer rolls completely. 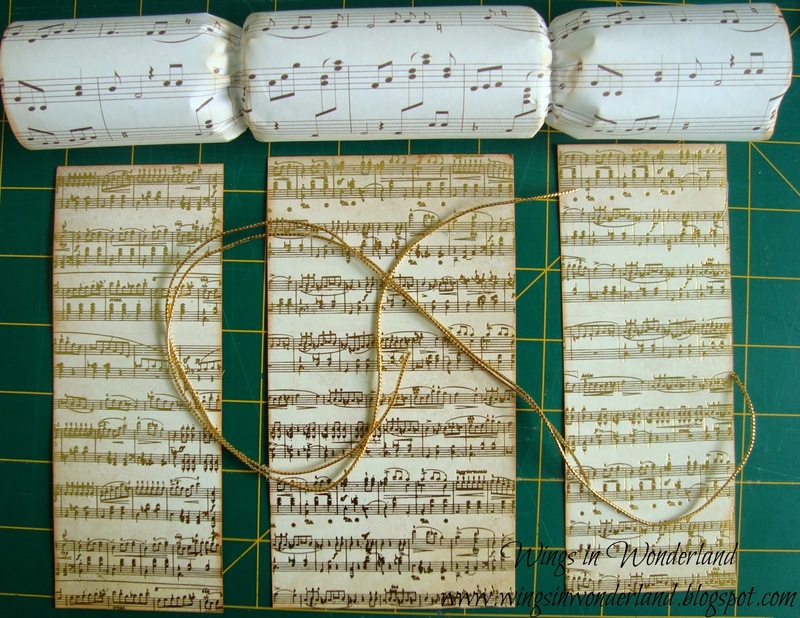 I have then taken some of the 6x6 Kaisercraft Paper and cut into 3 parts, 2 measuring 2 1/2 by 6 inches and one 3 1/2. Then I inked up the edges with Tim Holtz Distress ink Tea dye and rolled this around my main cracker piece with more double sided tape to adhere. To decorate I have taken a few pieces from the Kaisercraft collectables and popped these up with dimensional tape and then as usual I went a little nutty with some glitter and ribbon. Have a great weekend everyone and good luck.